Thomas J VanEimeren is an accomplished Lean Sigma Black Belt & holds the position of Global Lean Sigma Continuous Process Improvement Leader for Arrow Electronics, Global Logistics & Production Services. Thomas currently leads Arrows’ world class 5S program and managing and mentoring 75 Global 5S facility leaders and owning the Global Dashboard. Develops strategy & strategically drives lean sigma deployment globally. Leads, consults, mentors & coaches leaders of tactical & strategic improvement events within Arrow's global logistic & production services network. Thomas leads enterprise-wide and strategic events. 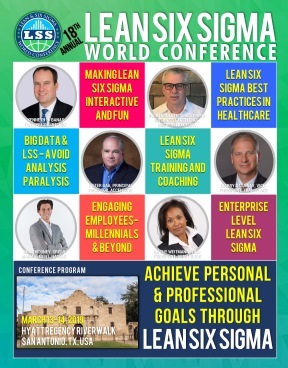 Van Eimeren is always developing innovative tools and pioneering approaches for lean sigma to drive deeper engagement and culture transformation. Thomas builds and deploys robust lean training programs for all roles within the organization from business leaders to individual contributors. Thomas has been Arrow’s global Lean Sigma continuous process improvement leader for the last eight years of his 20-year tenure with the company. He has led more than 200 continuous process improvement events during that time, including the company’s 2016 Lean Sigma Innovation of the year award-winning Global Logistics Olympics event. He is a member of the Lean Benchmarking Council, Society of Manufacturing Engineers and APICS, a nonprofit organization offering certification programs and training tools to increase workplace performance. Thomas resides in Phoenix, AZ with his wife & identical boys. When not getting people excited about Lean & Six Sigma, Thomas enjoys, travelling, coaching his sons’ tackle football team, hiking all over the Arizona desert landscape, doing charitable work & riding his Harley Davidson motorcycle to and from the office.